PBL and CCSS: Can the Marriage Work? Project Based Learning and Common Core are both intended to increase equitable, relevant learning for 21st century students. Implementing them simultaneously, however, can be a lot to take on- particularly when it comes to reading and writing. Even with a student-centered approach, tried and true teaching methods are still necessary. This site aims to identify practices and tools that make the union of PBL and CCSS possible, leaning on teaching methods that make sense. It can work- even in middle school. This site is born out of my own efforts to implement PBL in a way that ensures students are learning what they need to learn. Classroom experience taught me that most students won't "discover" their way to better reading and writing; there is still a need for quality, focused teaching. 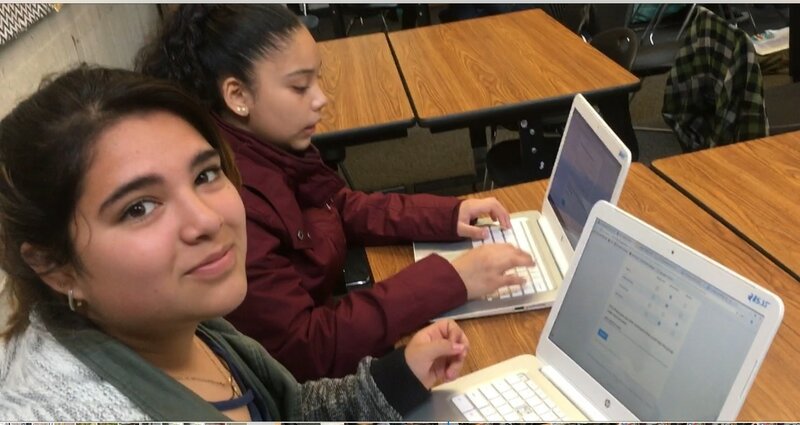 The need to address reading and writing is critical; recent test results revealed that 52% of California 8th graders do not meet grade-level literacy standards. Therefore, PBL needs to be carried out in a way that keeps standards-based learning at its core. This site aims to make sense of what I've learned about how to employ the best of PBL and still ensure that students are making progress toward the standards. I don't have all the answers, but I can point to experts whose research is influential to my understanding- work from John Hattie, Michael McDowell, and Sir Ken Robinson and others are featured here. Stories from my own challenges and successes in the classroom are also woven throughout the site. I've also curated a list of tech tools that can make teachers' and students' workflow more efficient and engaging. The marriage of PBL and CCSS can work- but it needs good pedagogy to make it last. Above: A brief video summarizing my capstone.